I'm often contacted by those in the Insurance or Financial Planning industry asking me how Worth Unlimited can benefit their clients... and their business. The questions I get asked are pretty similar, so I'll do a quick FAQ here for you... but feel free to PHONE me if you have some questions I haven't covered. 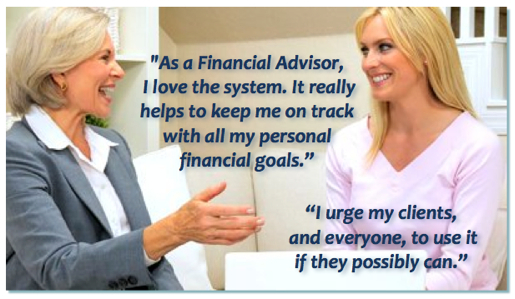 Q: As a Financial Planner, how does the Worth Account benefit my CLIENTS? A: Well, as you have already learned, the Worth Account is an excellent tool for helping your clients address their DEBT... often an overlooked problem with a financial plan. If your clients have higher interest rate debt, then that debt is going to eat away at any returns they are enjoying on the investment side, so it just makes sense to eliminate that debt as quickly as possible. 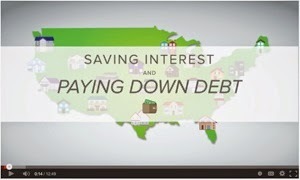 Additionally, by having a plan in place to address debt... WHILE they are investing for their future... they are on track to be able to invest MORE in their financial plan as each debt is eliminated. Q: How is Worth different, or better, than other "get out of debt" programs? I find client attrition is an issue because most people won't stay with a financial plan. A: People STICK to this! There are a LOT of "get out of debt" programs, and many of our customers have tried them before coming to Worth. However, you are RIGHT... any debt program is only as valuable as someone's ability to STICK to it. Because of the higher level of interactivity and engagement a client has with the Worth program (and our optional live coaching sessions), it's been shown that we have a very high percentage of clients who have "stuck to" their program all the way through to being debt free. With many financial plans, the majority of people don't stick to them for more than a year... only about 11% of people will stick to a financial plan past two years... about 14% for a year. However in surveys conducted of our clients, we have found more than 90% of Worth clients "sticking to" their programs through those first few years. While we don't have "hard" statistics after that, we DO regularly survey our clients and we find our AVERAGE client is actually doing 20% better than initially projected; that says a lot! We also get a lot of feedback from clients when they achieve their final pay off... and it's music to our ears! Q: Now how can Worth benefit ME, in my financial planning, or insurance, business? A: It can benefit you in myriad ways... let me list just a few of them. 1) You put a lot of work into getting a new client onto a financial plan, or into a policy or annuity, but we all know the statistics on how many clients drop off. If you can get a client onto the Worth Account, at the same time you get them set up for their investment / financial plan... I guarantee you that you will see many, many more clients who are sticking to their plan and achieving their goals! Less client attrition = more residual income for you. 2) Each one of those clients above are going to be increasing your REFERRALS. Want to make more money with Worth AND generate some referrals too? Just go through past or closed files and call those customers! Offer them a free savings analysis and start a conversation... everything starts with a conversation! 3) It's a natural "fit" for your business... and it will increase your income, as you do earn referral commissions for every client you refer who gets on the program. You are ALREADY talking to your client about money and financial goals... this is an easy, organic, part of the conversation... just recommend they do a "debt elimination analysis" to see how much money they could be saving and how much faster they could be out of debt! 4) Closing tool. Have you ever done a financial plan and had a client balk at the monthly contribution to it? They are uncertain whether they can "afford" to invest that monthly amount? Well, here is what some of our agents do... they have the company run a "debt elimination / savings analysis" TWO ways... one without the monthly contribution to their investment/financial plan, and one WITH that monthly contribution. When you prove to the client that they can not only plan for their future, but still be mortgage and debt free much quicker than they thought... they now have CONFIDENCE in their decision to move forward. 5) Prospecting tool. Looking for a conversation starter to get your foot in the door with other professionals? Why not use Worth as a way to call up other professionals in industries that could be referring to you. For instance... realtors, tax professionals, accountants, mortgage brokers, etc. Just introduce yourself and ask a question... "Hi, I'm Bob Jones. I'm an insurance agent here in town and I have a great program that my clients really love and I'm betting yours would too. Would you be interested in something you could refer a client to that helps them and puts more money in your pocket at the same time?" Simple question... they are either interested or not... but chances are they are curious and now you have a conversation. Many of these people you will develop a relationship with and they will produce referrals for you down the road. 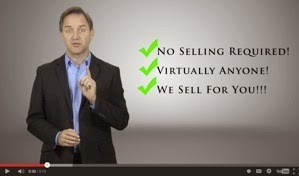 We even have an "introductory script" that is proven to work, and that will have you up and running in an hour or less. On top of that... there are UNLIMITED leads for you to call... and we can show you where to find them... for free! 6) Do you have a TEAM of people working for you? 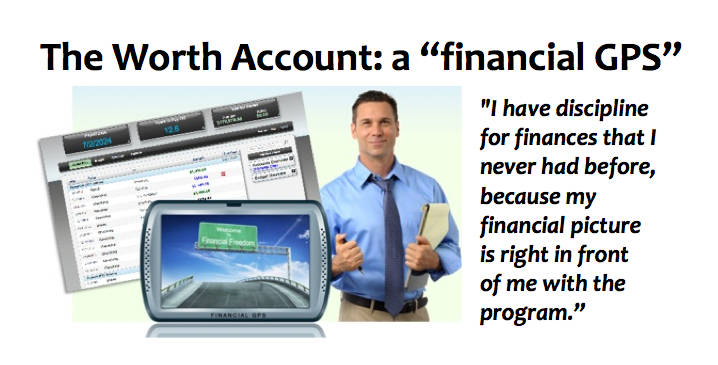 If so, the Worth Account brings another profit center into the business... for them and for you. Now you will be able to retain your best people longer... as they have a way to increase their income. 7) Last... but not least.... our new PRIVATE LABEL accounts actually allow you to "brand" this program as your OWN! Previously 2 of the top 6 banks in the country have tried to buy our company in order to get our software for themselves. Now YOU have the chance to have it and set your own pricing and commission structure while adding a substantial new revenue stream to your business! Once you're involved in the Worth Account you'll probably think of other ways this will benefit you and your clients. In the meantime, if you think of more QUESTIONS... just call!